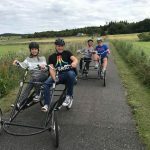 The Highland Cycle Ability Centre provided those with disabilities, including those both complex and challenging, the opportunity to relax and enjoy adapted cycling activities enjoyed by their non-disabled peers, thus allowing their carers to relax and enjoy a break from their usual routine. 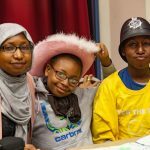 We delivered two holiday programmes for young people (age 11-18) with complex support needs. 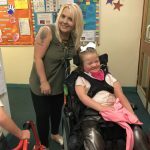 The young people enjoyed a wide range of activities and outings including, games, dance, drama, hydrotherapy, aromatherapy, adapted bikes, and day trips to parks, Edinburgh Zoo, New Lanark and Millport. Craigmarloch was a project for 80 children (aged 6-18) with multiple complex needs to enjoy a week’s break at the Hunters Quay Holiday Village to experience fun activities, meet new friends along with their parents staying in quality 3 bed caravan accommodation. 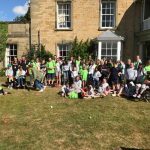 We hosted a Family Camp for Scotland families which was based at Tulliallan Police College Fife from 18th – 20th May 2018 inclusive, (3 days, 2 nights). 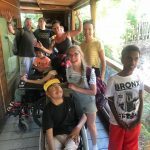 The camp was designed to cater for families of children with a serious, life limiting illness/disability which 16 families (67 individuals) attended.